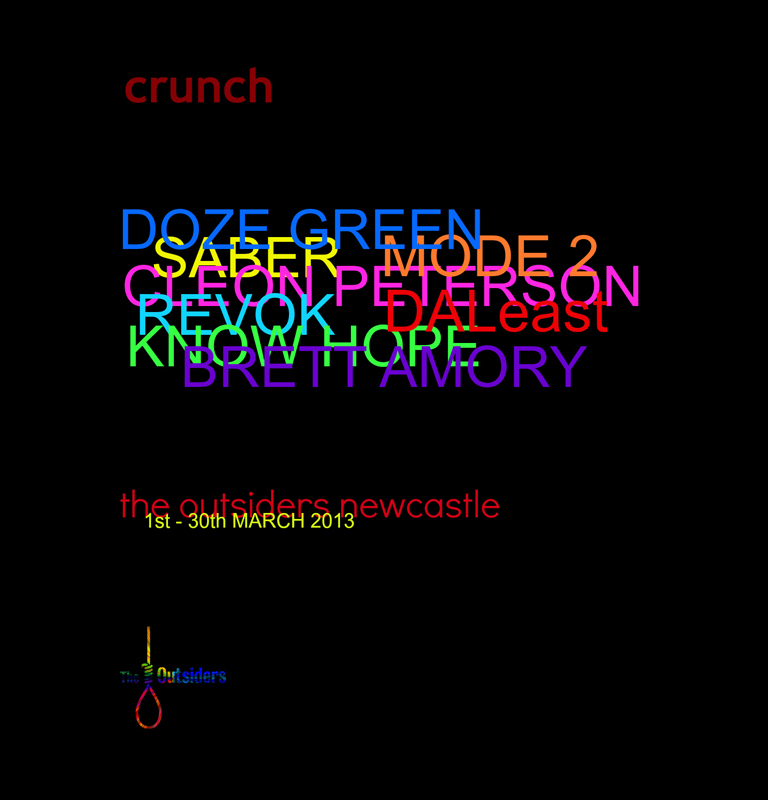 Should you happen to find yourself in or around Newcastle upon Tyne tonight be sure and check out the Crunch Group Exhibition which will showcases several titans of the graffiti worlds alongside the foremost young talents in urban art at The Outsiders Newcastle. All in this together are Saber, Revok, Mode 2, Doze Green, Cleon Peterson, Brett Amory, Know Hope and DAL East, exhibiting signature pieces that are bound to delight their collectors. Gallery open Tuesday to Saturday 12 - 6pm, admission free.